"ICE FIELD OPERATION LIBERATES HUNDREDS OF JOBS: Interior enforcement of immigration laws helps American workers." My article for FrontPage Magazine today was predicated on an ICE news release about a successful field operation that resulted in the arrest of nearly 300 illegal aliens working illegally in the United States. The same can be said of international terrorists. In point of fact, the day before terrorists carry out an attack, they are likely hiding in plain sight by going to work at a seemingly menial job. What is never discussed by the media or the political betrayers of American workers is that those aliens who work illegally are taking jobs that American and lawful immigrants would very much want to have to be able to support themselves and their families. It is the prospect of being gainfully employed that draws many of the illegal aliens to the United States, including the aliens who have joined the caravans that have repeatedly traveled through the length of Mexico to the southern border of the United States. Prior to World War II the enforcement and administration of our nation’s immigration laws was vested in the U.S. Department of Labor. The point was to protect American workers from unfair competition from foreign workers. Politicians who oppose the effective enforcement of our immigration laws are acting against the best interests of American workers and their families. 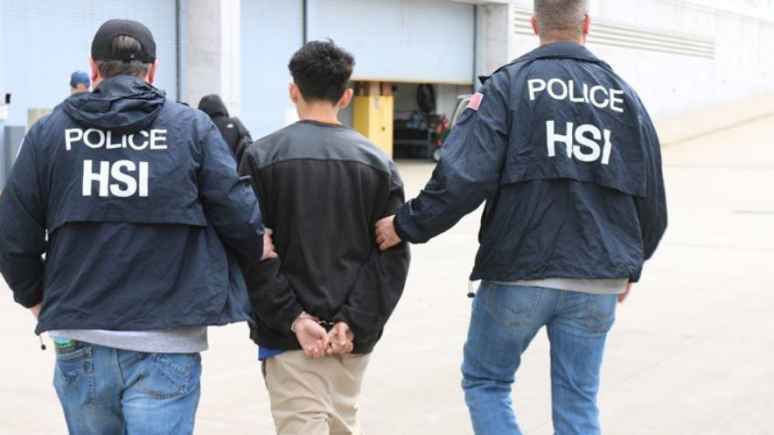 Author MichaelPosted on April 17, 2019 April 17, 2019 Leave a comment on "ICE FIELD OPERATION LIBERATES HUNDREDS OF JOBS: Interior enforcement of immigration laws helps American workers."